Meet your interpreter at Lucas Tavern for the Guided Tour of this house. The Ordeman-Mitchell-Shaw House, on its original site, opened to the public in 1971 after three years of restoration. 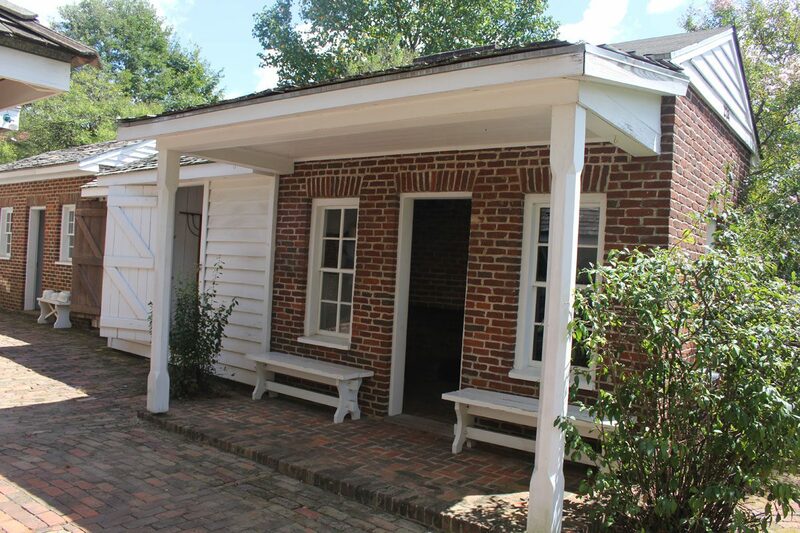 A guided tour of the site features the townhouse, kitchen/slave quarters, laundry, storage rooms, and necessaries. Charles Ordeman, a German-born architect, built this house in the early 1850s. He came south with his wife Sarah, and in November 1850, they set up housekeeping in the cottage at 220 North Hull Street while Charles began designing and building the structures around town as well as this townhouse for himself. The house itself is of an unusual design representing the Italianate school of design. The interior features fourteen-foot ceilings on the top two floors with large windows for air circulation; together these equal 19th century air conditioning and the house would be relatively comfortable in the summer. The outside walls of the house are constructed of brick eighteen inches thick. Red clay bricks were much more abundant in central Alabama than stone blocks. These bricks were covered with rough plaster, and the plaster was scored to give the appearance of tooled stone. Although a well-designed and attractive house, the Ordemans ran out of money because of unwise investments and lost the house before they could occupy it. After going through several investors, on August 24th of 1854 the house was sold for $3200.00 to the Mitchell family, cotton planters from Mount Meigs ten miles east of Montgomery. The Mitchells arrived as a family of four—Julius Caesar Bonaparte Mitchell, his wife Rebecca Ellen Murdock Mitchell, a son Murdock and a daughter Posey. 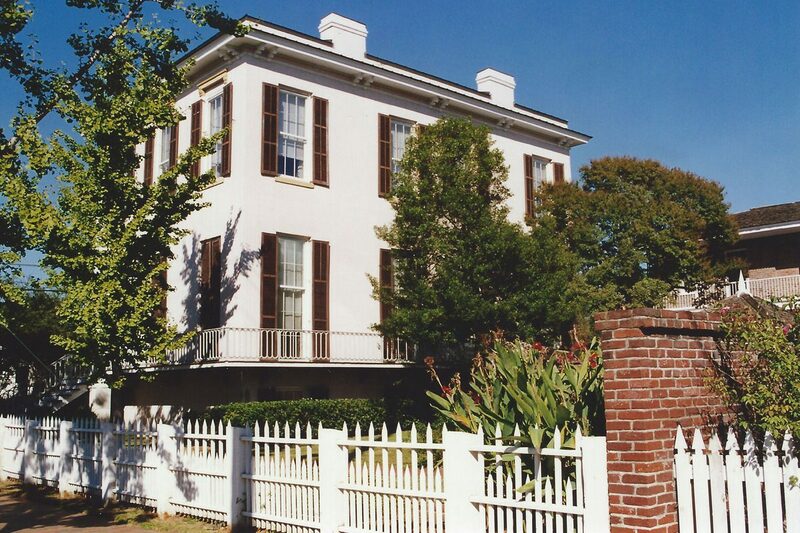 The Mitchells lived in the Ordeman House shuttling back and forth to the plantation for four years. They then returned to the country full-time, selling the house to Erastus Jones, a wealthy physician and pharmacist from Tuskegee, for $4000. They kept the house until 1905, when they sold it to the Shaw family. 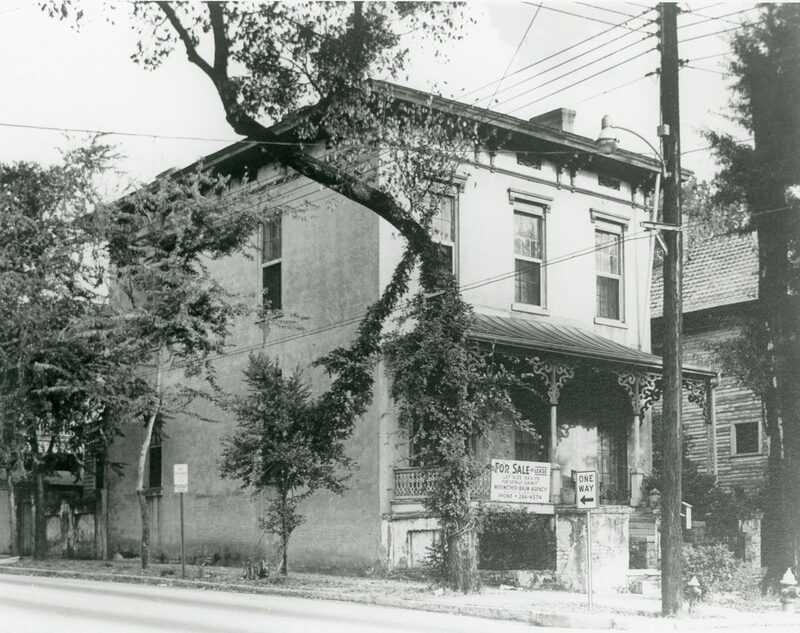 Landmarks Foundation acquired the property in 1967 from Miss Maude Shaw. 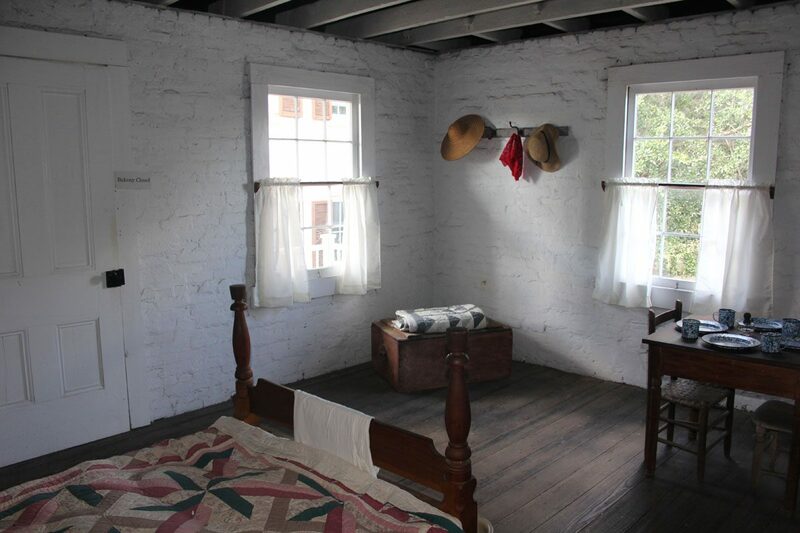 The Ordeman House is furnished much as it would have been during the Mitchells’ tenure in the late 1850s with furnishings and other artifacts that depict how life was in central Alabama in the mid 19th century. TourOldAlabamaTown.com is brought to you by the Landmarks Foundation and was made possible in part by a grant from the Alabama Tourism Department. For more information on visiting Old Alabama Town check out their website, landmarksfoundation.com. © copyright 2019 Landmarks Foundation. Mon.–Sat. 9 a.m. to 4 p.m.